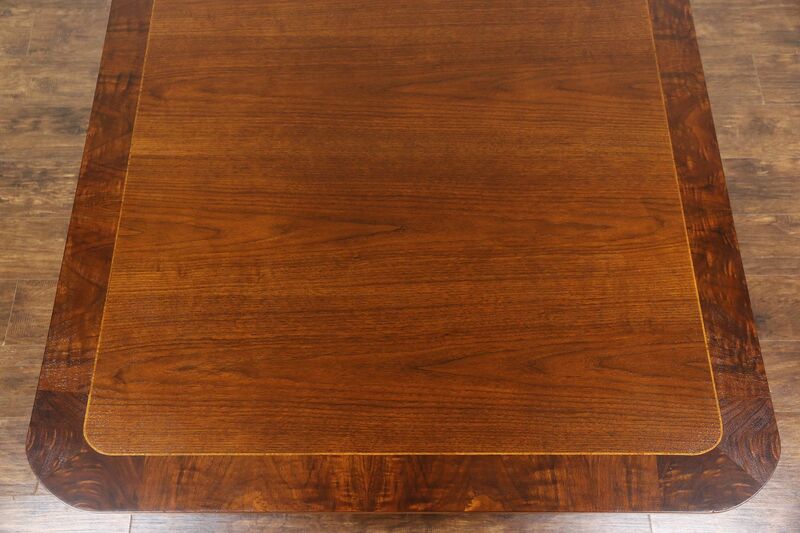 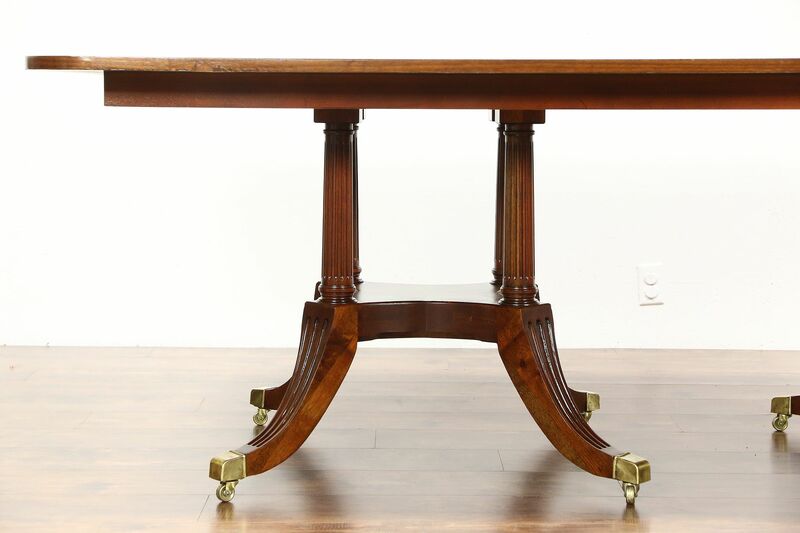 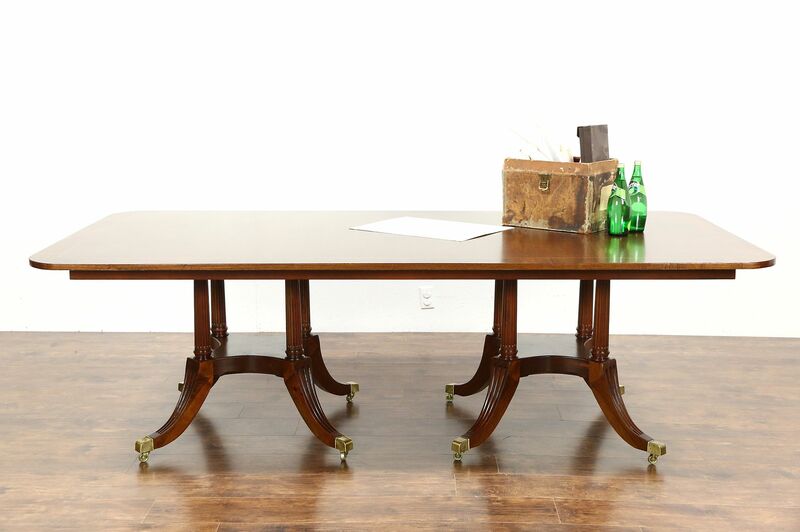 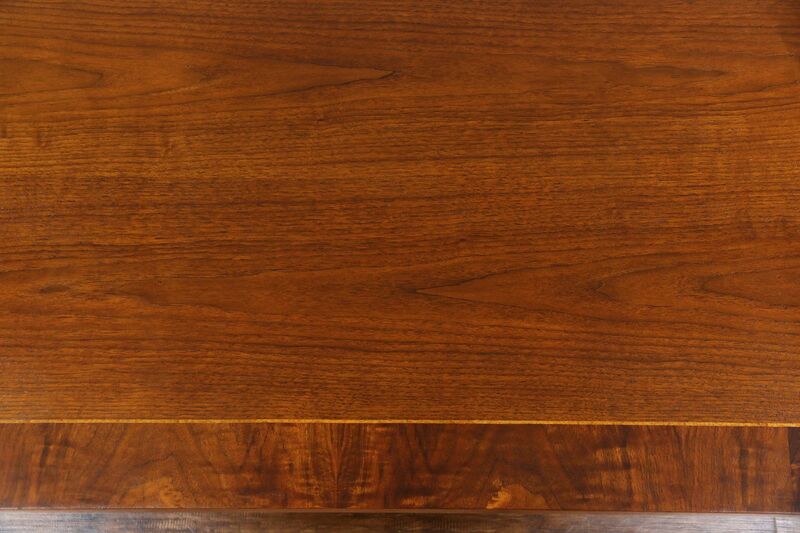 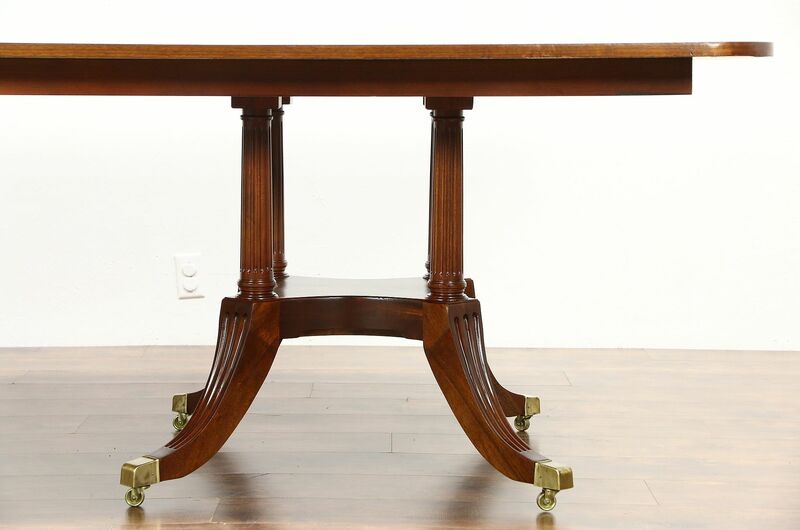 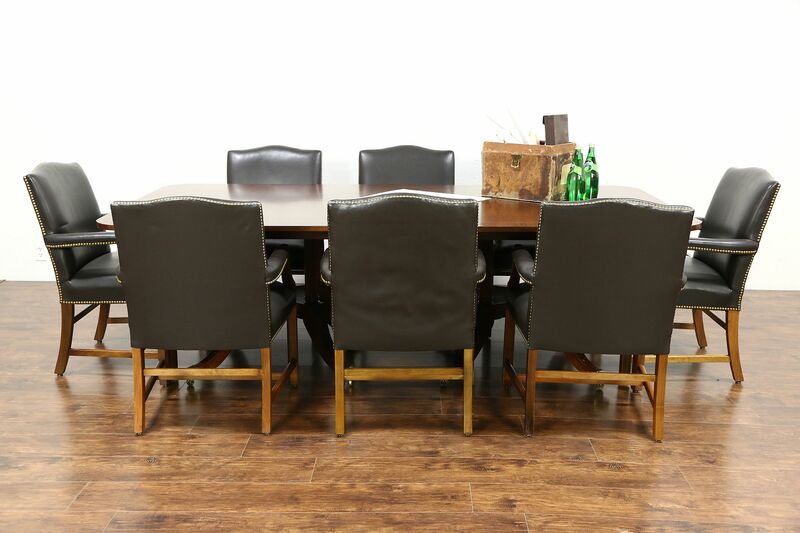 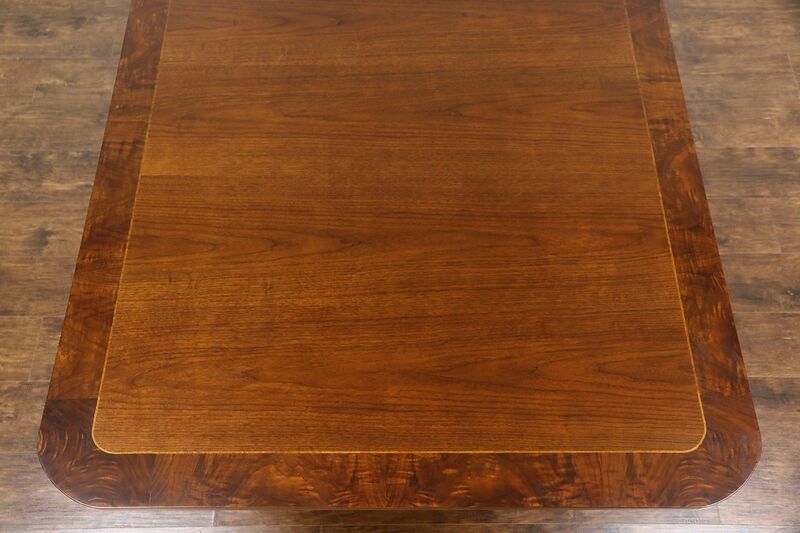 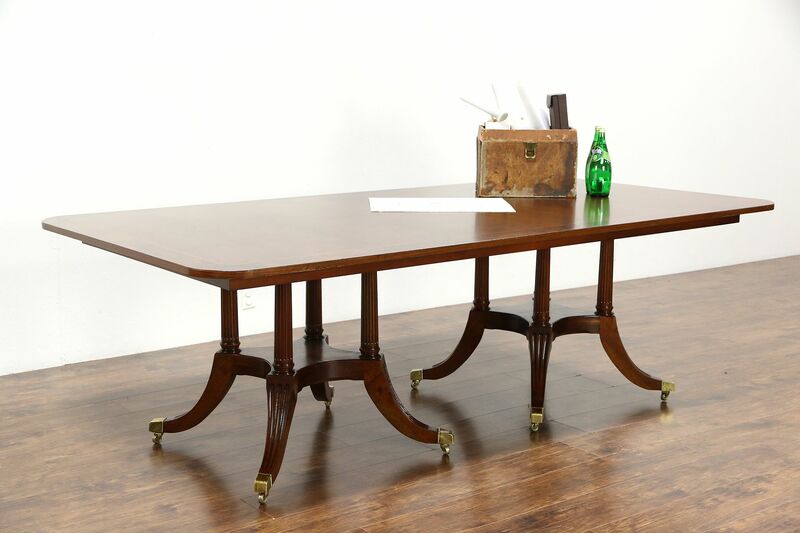 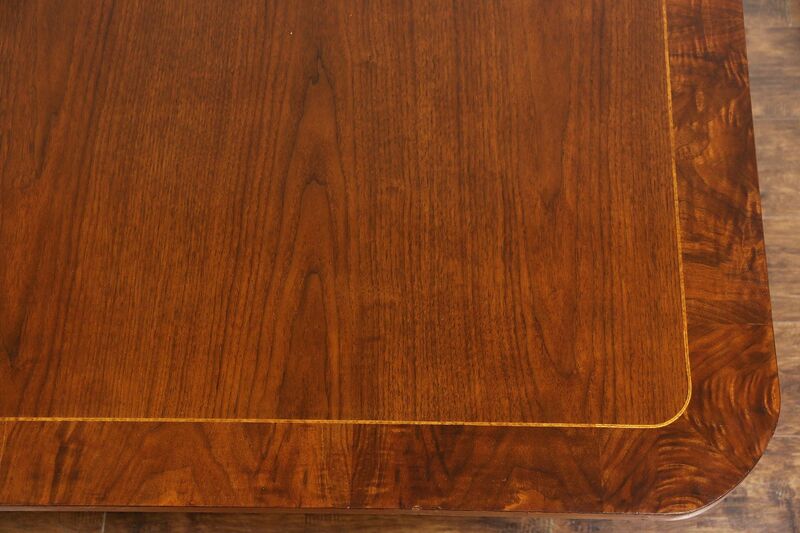 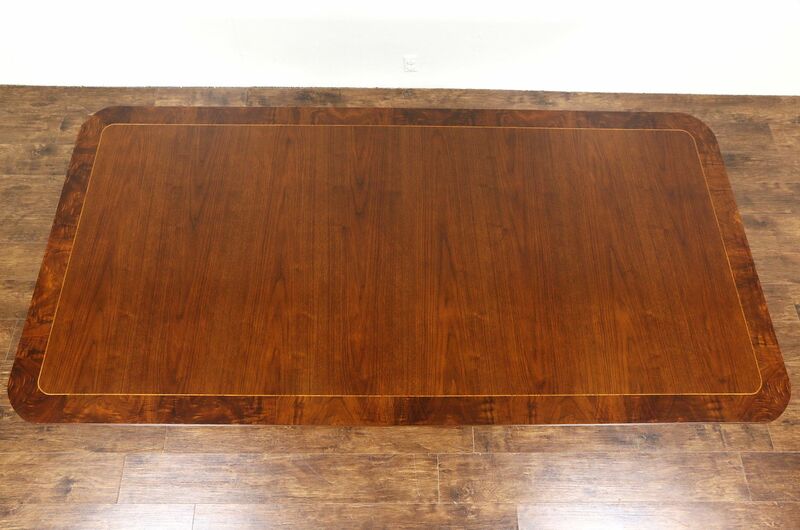 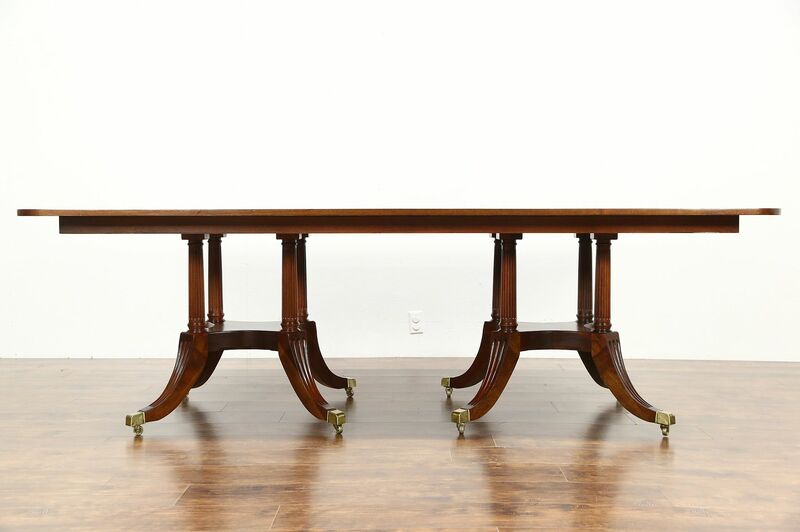 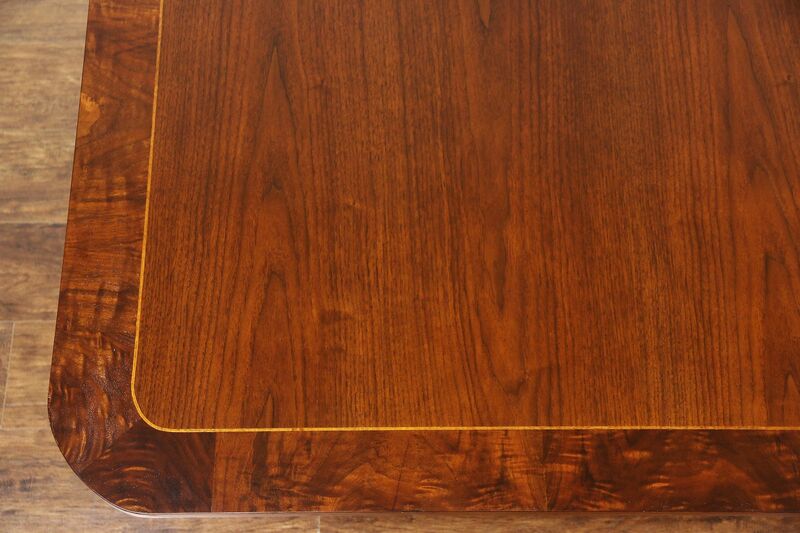 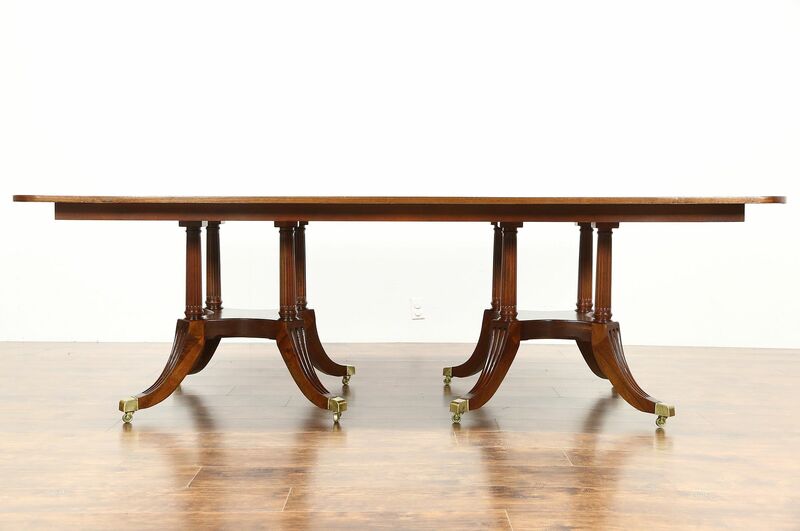 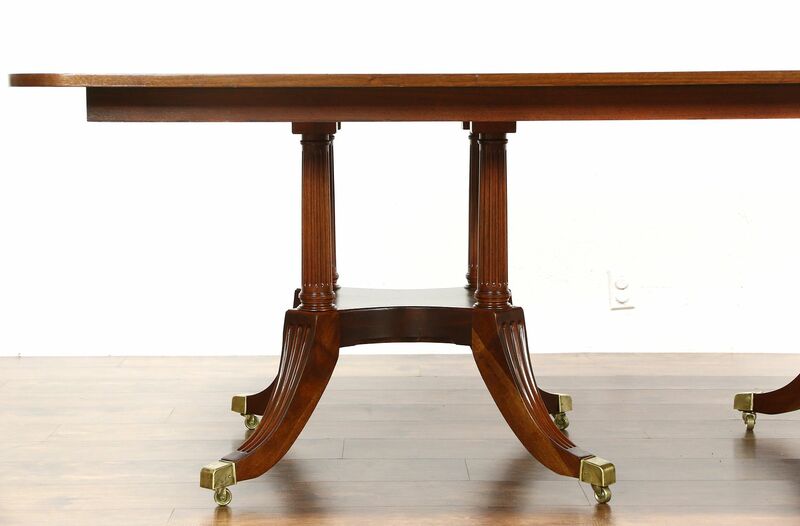 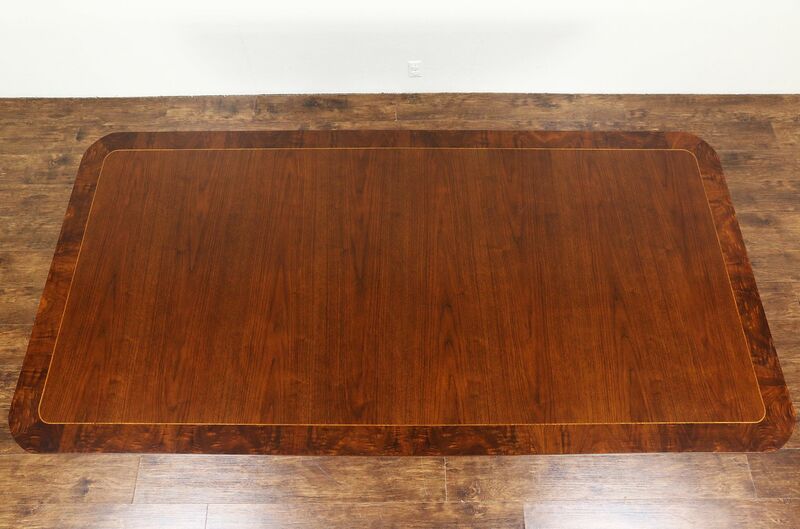 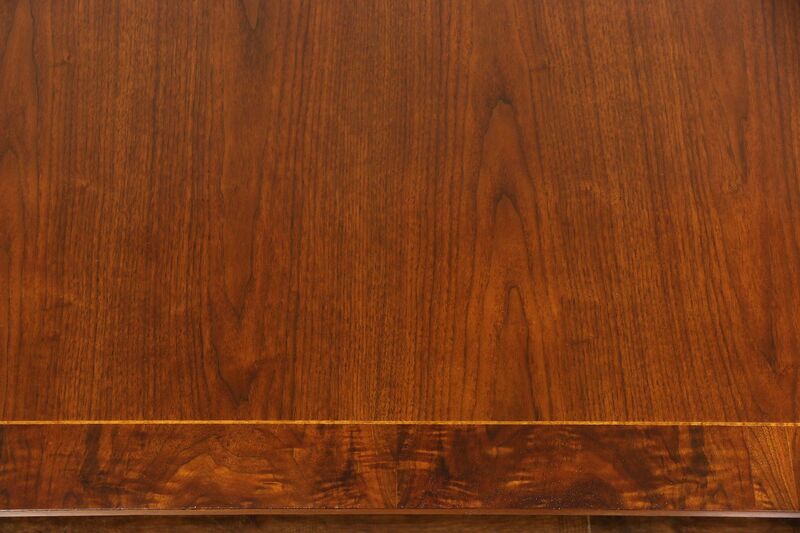 A solid top dining or conference table is walnut banded with burl and has two "birdcage" pedestals, signed "Mt. 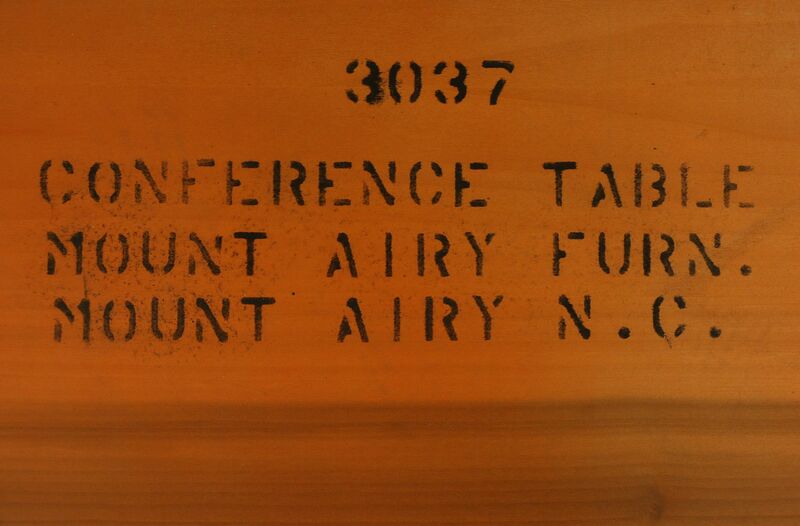 Airy." 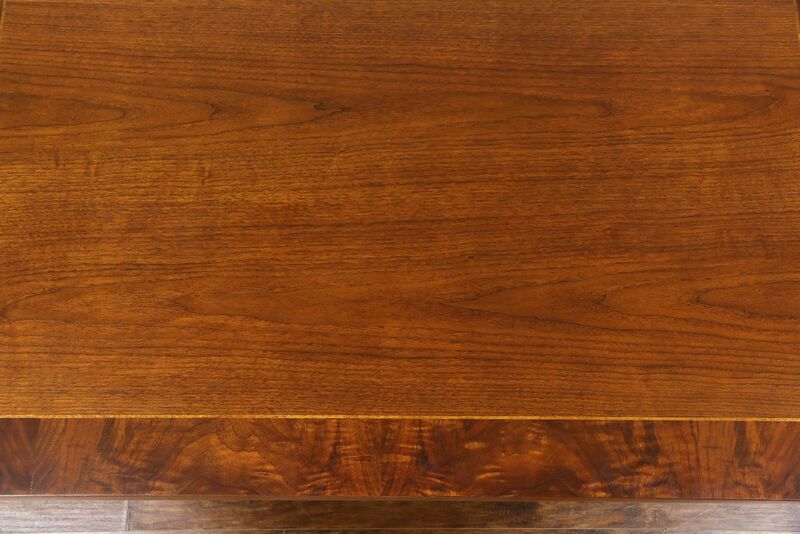 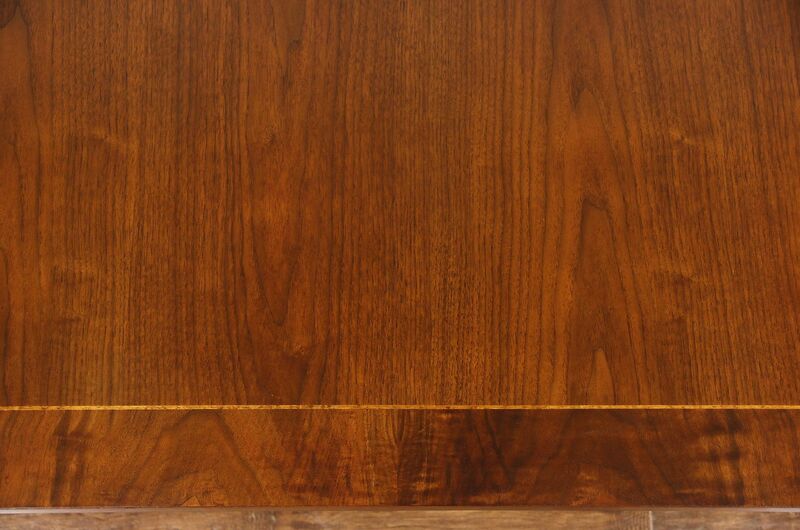 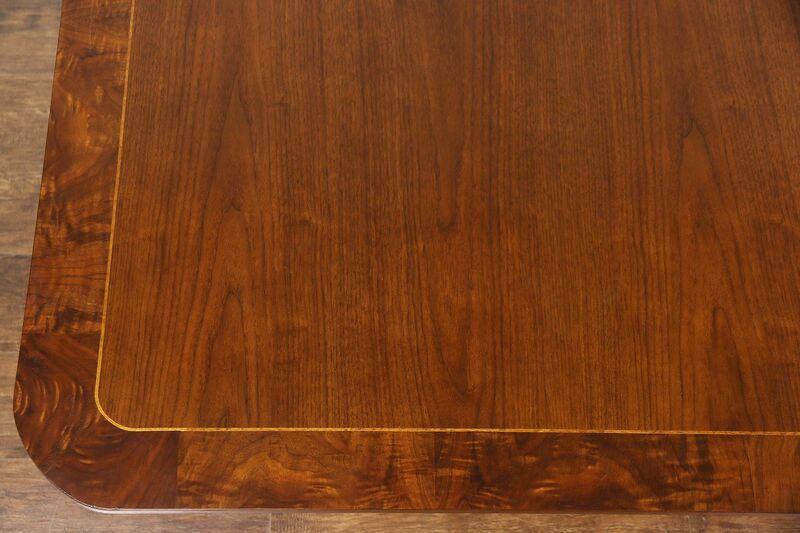 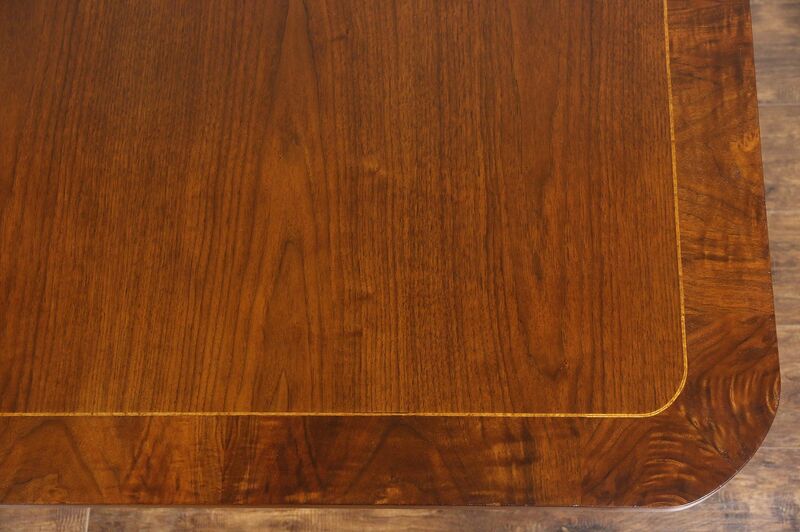 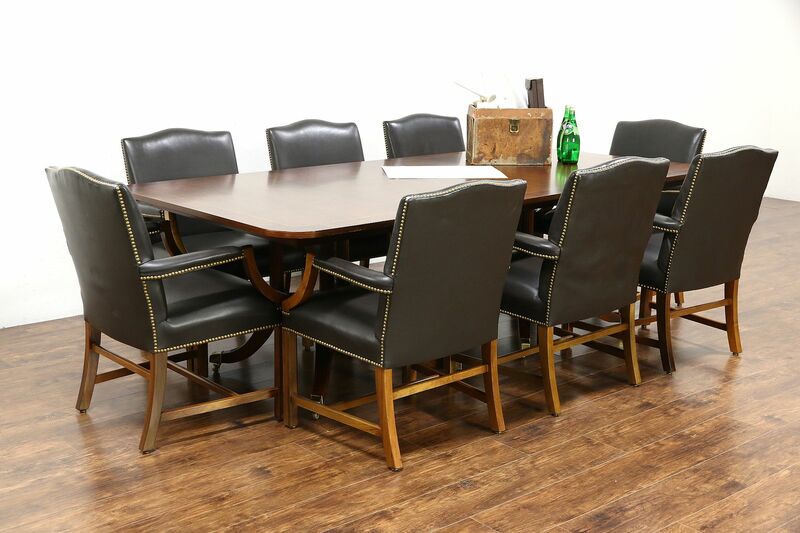 The restored satiny finish is in excellent condition on this vintage furniture from about 25 years ago. 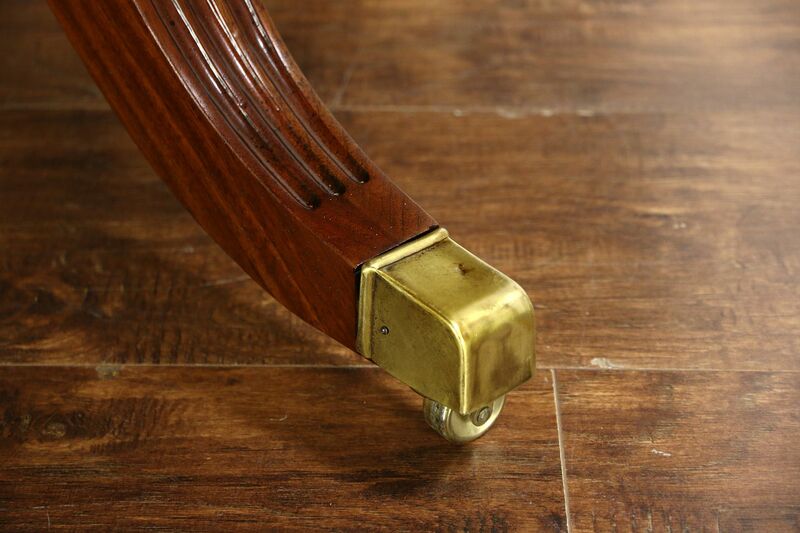 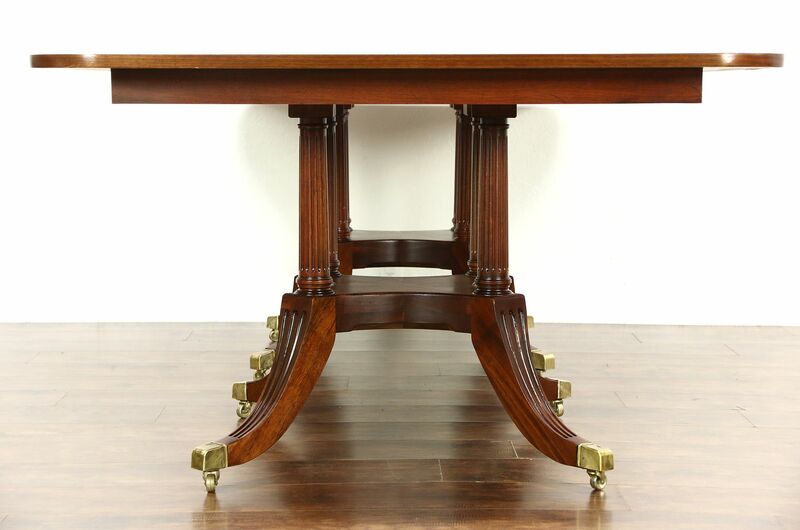 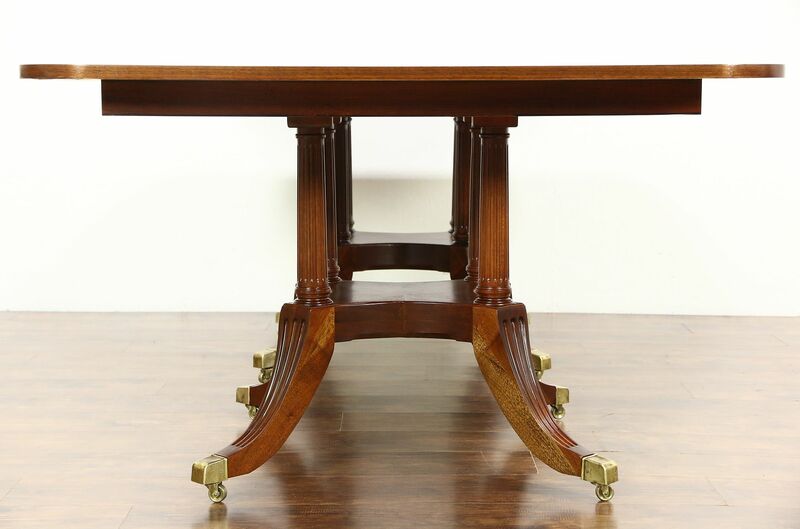 Brass feet and wheels are original on this sturdy American made table. Size is 48" wide, 96" long and 30" tall.